Defector Lee Ch'un Sŏn has asserted that ammonia (NH3) and nitrogen dioxide (NO2) are transported via pipeline from the No. 102 Factory at the July 7th Complex (Ŭndŏk Chemical Factory 恩德化學工場) in North Hamgyŏng Province. Nitrogen dioxide is then mixed with sulfur dioxide (SO2), heated, and combusted with mercury. The product (its exact chemical formula unknown) is brought in sealed tanks and filled into glass bottles, presumably after being put under pressure. Helicopters transport this chemical agent to the 108 Factory in Chagang Province, where the agent is loaded into projectiles. Each projectile weighs about 46kg and measures 255mm in diameter. This ordnance is "aimed at killing and wounding human beings through respiratory paralysis." The plausibility of this report is questionable because, although sulfur and nitrogen oxides are well known as lung irritants, they are unlikely to be effective as chemical warfare agents for battlefield use. Katsuhiro Kuroda, Sankei Shimbun, 10 June 2000, in "DPRK Manufactures Chemical Weapons," FBIS Document ID: JPP20000610000025. "Pukhan Inmin'gun Changsŏnŭi Ch'unggyŏkjŭng'ŏn," Shindonga, August 2001, www.donga.com. Shindonga, August 2001, pp. 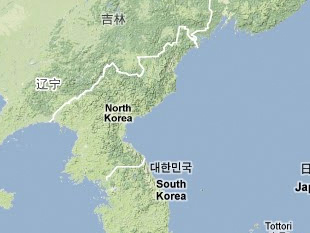 196-204, in "DPRK General: Nuclear Material Production Base Exists Underground Mt. Ch'onma," FBIS Document ID: KPP20010725000058. Ch'oe Yŏng Jae, "Mi'gug'ŭi Pukhan Saenghwahangmu'gi Appak Chŏllyak," Shindonga, January 2002, www.donga.com. Choe Yong-chae, Shindonga, January 2002, pp. 300-313, in "US Strategy Pressuring DPRK on Biological, Chemical Weapon," FBIS Document ID: KPP20011220000016.